Premium quality, non ammoniated, streak free, anti fogging, dust repellant, quick dry and cleaning formula. 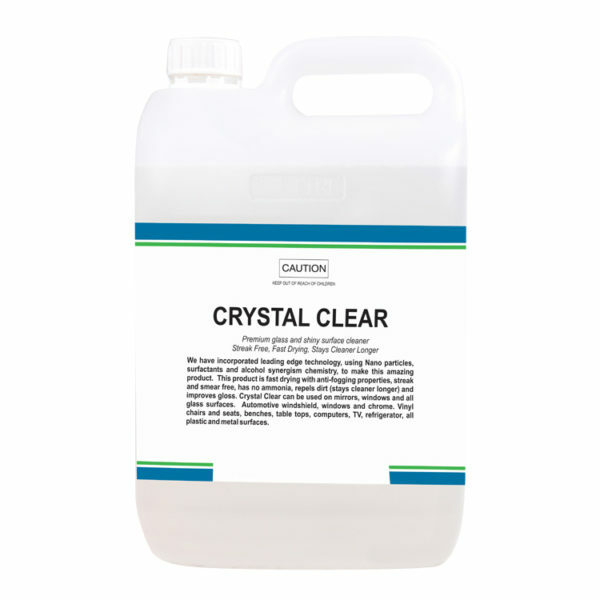 Ideal for all glass and metal surfaces. Also available in 750 ml RTU pack. ​ Product Code: 415 Size: 5 Litre or 20L Highly efficient, non-corrosive formula, spray-on and wipe off, streak free stainless steel surfaces.